Soups are a great vehicle for experimenting with new flavors. I am a big fan of eating soup year round, not just in the cold, wintery months. While it doesn’t get much better than cozying up with a hot, steamy bowl of soup in the middle of winter, a light and fresh “summery” soup can be just as satisfying. 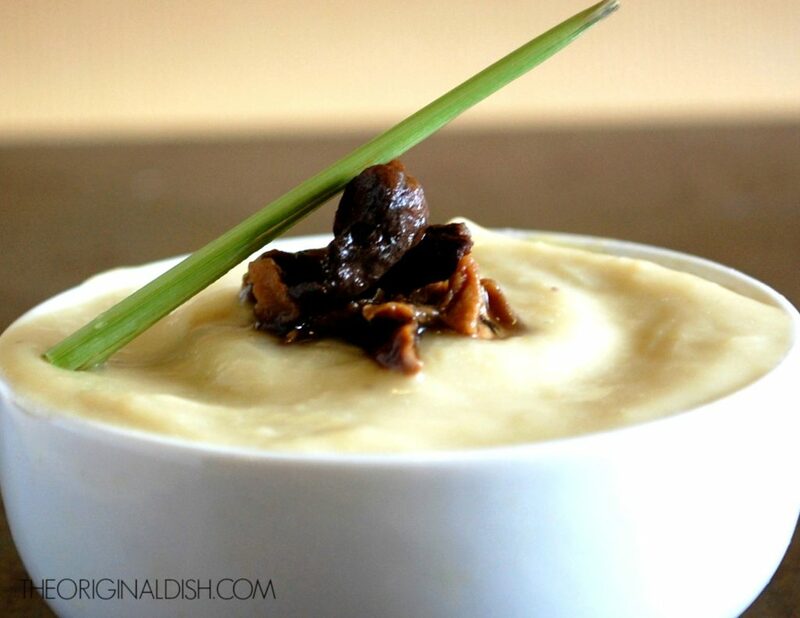 I include tropical ingredients in this creamy soup to create the perfect balance of freshness and comfort. 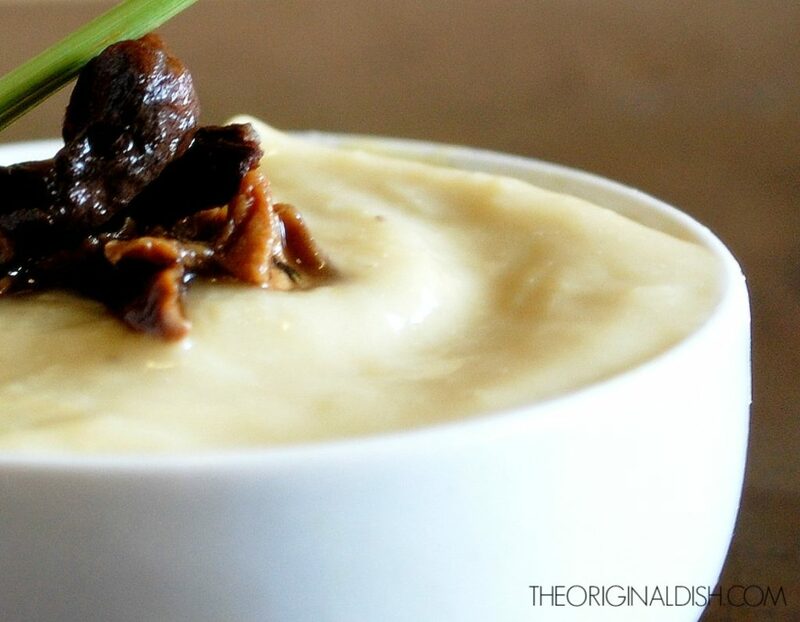 Even though I call this a coconut soup, there are so many other flavors that lend to its rich, yet refreshing quality. Porcini mushrooms are infused into chicken stock and added to the soup. This mushroom flavored stock imparts an earthy flavor, while the lemongrass adds a fresh, lemony zest. I use Anaheim chiles because they are a mild pepper, which allows the subtle chile flavor to come through without overpowering the dish. 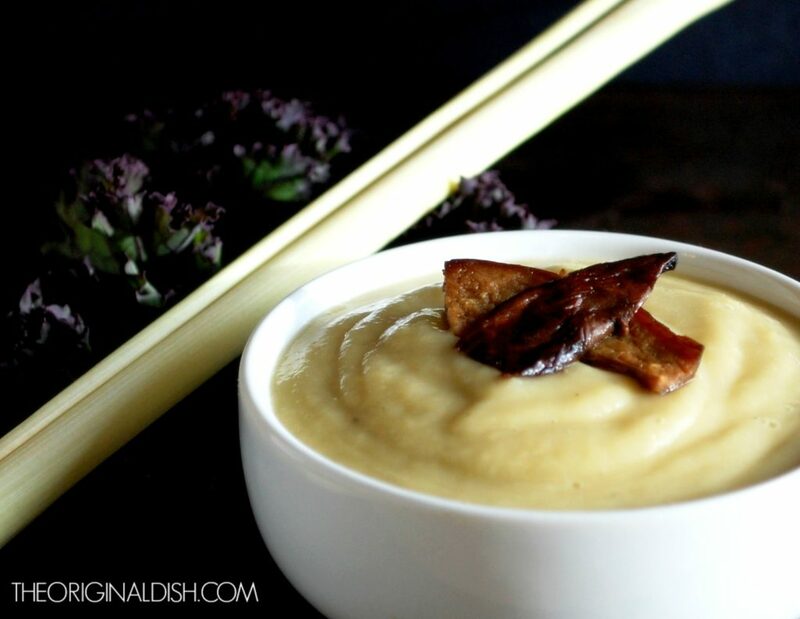 Parsnips provide the base of the soup, creating a thick, creamy texture when they are blended. All of these ingredients establish layers of flavor that complement the coconut. Combine the dried porcini mushrooms and chicken stock in a small saucepan over medium-low heat. Let the mushrooms reconstitute and infuse the stock, about 15 minutes. Using a slotted spoon, remove the mushrooms. Reserve both mushrooms and liquid. Meanwhile, in a medium pot, heat the olive oil over medium-high heat. Add the leeks, parsnips, and chili pepper. Season with salt and pepper. Cook until the leeks are soft. Add the chicken stock, coconut milk, crushed lemongrass, garlic, and a ½ cup of the porcini mushroom liquid (see Kayla’s notes). 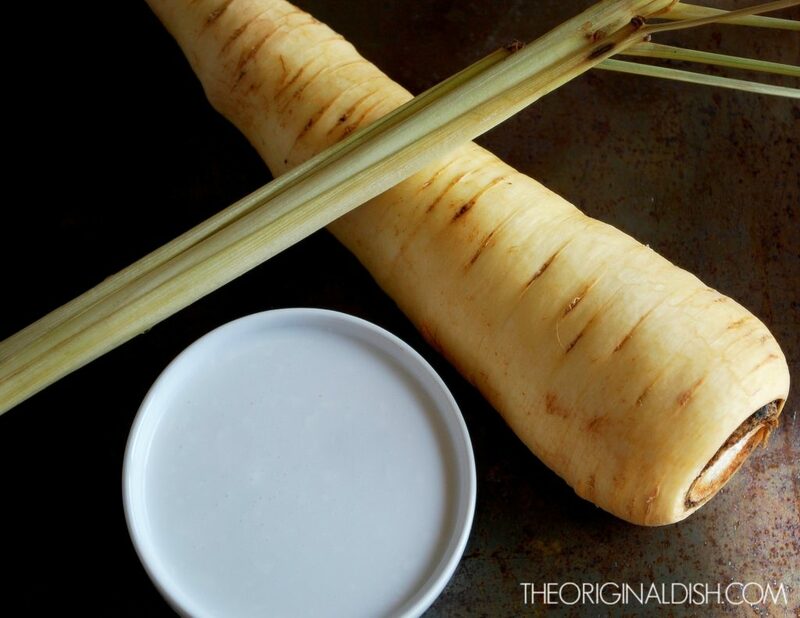 Bring to a boil, cover, and simmer until the parsnips are tender, 15 to 20 minutes. Remove the soup from the heat. Working in batches, use a blender or food processor to blend the soup until smooth and creamy. Season with salt and pepper to taste. Sauté the porcini mushrooms in a tablespoon of olive oil over medium-high heat, just a few minutes. Season with salt and pepper. Ladle the soup into bowls and garnish with the mushrooms. Serve warm. Lemongrass is a stalky plant used in many Thai dishes. To use, remove the dry, outermost stalks. Cut the inner stalk into 3 inch pieces. “Crush” the pieces by smashing them with the side of your knife to release their lemony flavor. The porcini mushroom liquid will contain some grit at the bottom of the saucepan that you don’t want in your soup. Be mindful of this as you retrieve a ½ cup of the liquid. I absolutely loved this soup! What a wonderful combination of flavors! I love making soup on Sunday’s, especially during the winter….so I will definitely be making this recipe a lot!